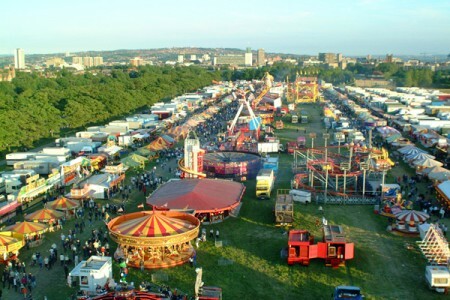 Enjoy all the fun of the fair as The Hopping’s fun fair returns to Newcastle’s town moor 17th – 25th of June 2016. One of Europe’s largest travelling fairs and not one to miss. With over 300 attractions you will have plenty to choose from. Walters, dodgems, haunted mansions and even a log flume. If you prefer to keep your feet on the ground there are loads of stalls. Hook a duck’s first appearance was in 1958! There are plenty of food and refreshment stalls to tempt those taste buds. Classics such as hot dogs, popcorn and sweets mix with Chinese and there is even a place you can get steak sand wedges from. I personally love the smell of freshly cooked donuts in the air. There’s a long history of the hopping’s visiting the town moor from 1882! Newcastle military show makes an appearance on Saturday 18th and Sunday 19th. Displays and demonstrations of equipment will be running so you can get up close and personal with the latest technology used in army training. You can even test out your army fitness on the assault course, and try sharp shooting on the paintball range.